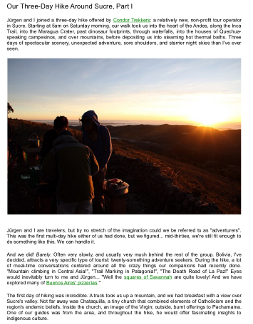 Don’t forget to check out our other e-books, from our 91 days in Oviedo, Savannah, Buenos Aires, Palermo, Sri Lanka, Busan, Idaho, Istanbul, Iceland, the Yucatán, Tokyo, Macedonia, Valencia, Curaçao, Montreal and Saigon! 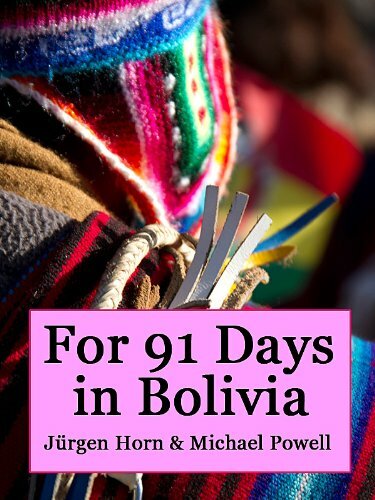 For 91 Days in Bolivia - The E-Book We've collected three months of our wild Bolivian experiences in an E-book, which you can download directly from us, or buy on Amazon for your e-reader. 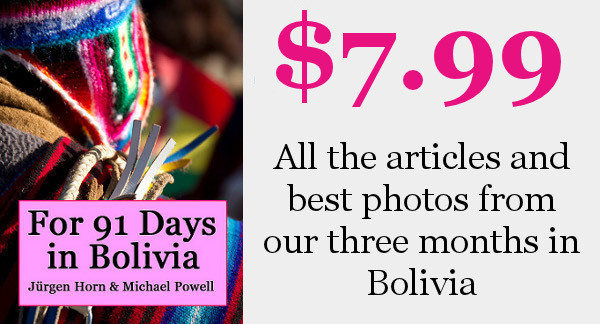 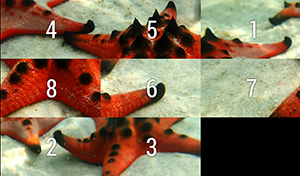 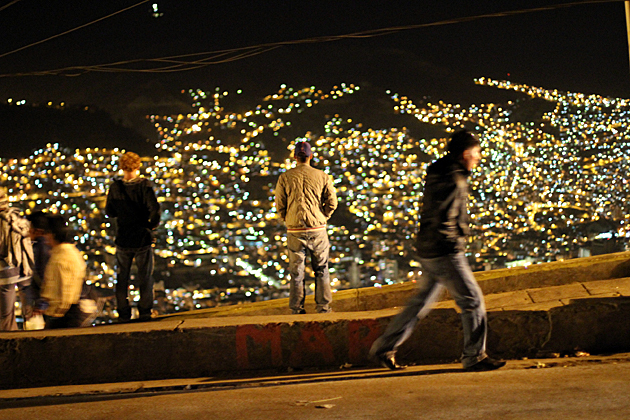 Get over two hundred full-color images, and all our articles from Sucre, La Paz, Potosí, Cochabamba, the Salar de Uyuni and more, in an easy-to-carry format. 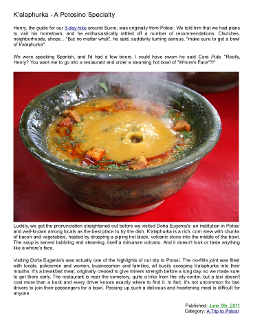 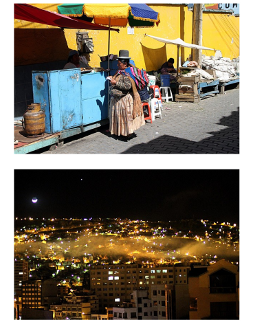 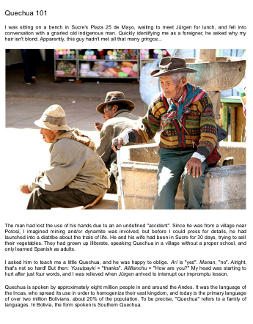 With a comprehensive index arranged by category and date, the e-book is easy to navigate, and filled with beautiful photos, amusing anecdotes, and detailed, well-researched descriptions of Bolivia's food, culture and history.